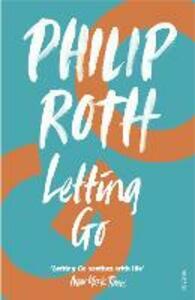 Letting Go is Philip Roth's first full-length novel, published when he was twenty-nine. Set in 1950s, Chicago, New York, and Iowa City, Letting Go presents as brilliant a fictional portrait as we have of a mid-century America defined by social and ethical constraints and by moral compulsions conspicuously different from those of today. Newly discharged from the Korean War army, reeling from his mother's recent death, freed from old attachments and hungrily seeking others, Gabe Wallach is drawn to Paul Herz, a fellow graduate student in literature, and to Libby, Paul's moody, intense wife. Gabe's desire to be connected to the ordered 'world of feeling' that he finds in books is first tested vicariously by the anarchy of the Herzes' struggles with responsible adulthood and then by his own eager love affairs. Driven by the desire to live seriously and act generously, Gabe meets an impassable test in the person of Martha Reganhart, a spirited, outspoken, divorced mother of two, a formidable woman whom according to critic James Atlas, is masterly portrayed with 'depth and resonance'. The complex liaison between Gabe and Martha and Gabe's moral enthusiasm for the trials of others are at the heart of this ambitious first novel.